Miami Hurricanes men’s basketball has arguably its most talented roster in program history, featuring multiple McDonald’s All-Americans, six ESPN Top 100 recruits and two 2018 NBA Draft prospects. 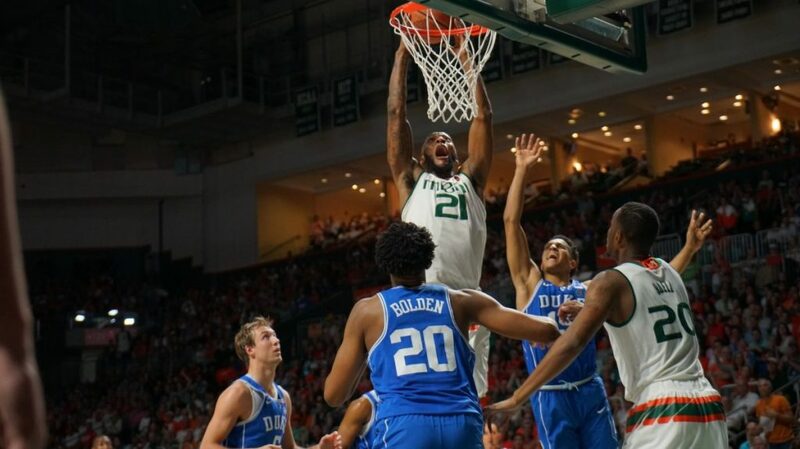 However, the young Hurricanes have experienced growing pains in conference play and have fallen out of the AP Top 25. Miami felt the triumph of beating ranked teams Minnesota and Florida State but also suffered losses to underdog opponents New Mexico State and Georgia Tech. While this inexperienced roster has dealt with its fair share of bumps and bruises, former Canes think the adjustment period is normal. At one point, Miami (14-4, 3-3 ACC) was riding a 10-0 undefeated start to the season but has faltered the past few weeks. UM dropped three of its first four games to start 2018 but bounced back with a win over North Carolina State. While the Hurricanes have dropped out of the rankings, the struggles might be a blessing in disguise. With big matchups still left on the table against Virginia and North Carolina, Miami has a chance to put together a run similar to the Hurricanes team that won the ACC Championship in 2013 or the 2016 team that finished tied for No. 2 in the conference. Both teams ultimately made it to the Sweet 16. The Hurricanes are starting to gel as a team and are showing clear flashes of their potential. Sophomore Dewan Huell is averaging career-highs in points and rebounds. Freshmen standouts Lonnie Walker IV and Chris Lykes are getting better with each game. Veteran leaders Bruce Brown Jr. and Anthony Lawrence II have made big plays down the stretch to contribute to victories.